It takes another warlock telling Alec that actually, no, Magnus isn’t happy to be peddling potions rather than being the most respected warlock (no-one says “really, you need telling this? Really? I thought you were in love with him?!”). So he and Magnus talk about maybe communicating a bit more and Magnus tells him that he’d rather Alec not end up going to the one place on Earth he can’t follow. Finally they kiss after keeping several feet between them for some time. Luke is also focused on his pack… hah no, not really. Luke is worried because Ollie, his police partner wants to know more about the supernatural since she was attacked by a werewolf 5 years ago (but not turned). He lies to try and cover everything but since his cover includes “I’m a member of a motorcycle gang” when he doesn’t even own a bike, you can imagine how convincing he is. So instead she resorts to throwing sunlight from one of her Deus Ex Runes to kill it.Lillith feels it and is super pissed, but she has other recruits to call on. More dramas: Raphael is apparently holding a female vampire captive using a vampire drug he got under false pretences from Magnus to do it. The fairy queen doesn’t reveal what it actually does but she does let him go, so he goes back to Maia to explain where he’s been and why (to allow her to leave the Seelie realm). So that’s a lot of plot hooks - alas I feel the whole focus on Jace and his weird nightmares may actually dominate them all. 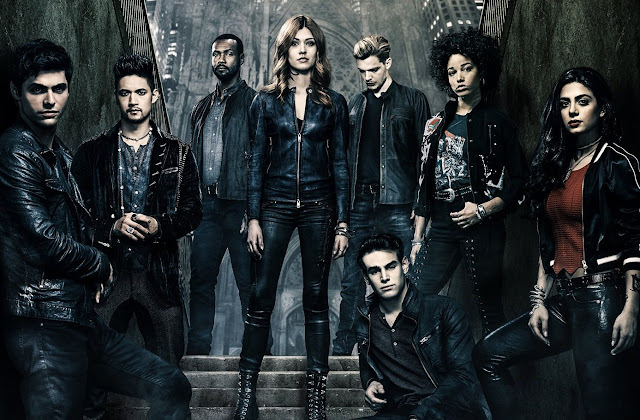 This is the habit - Jace and Clary, despite being the least interesting characters on this show, inevitably dominate it. Literally every other character on this show is more fascinating - and not only is more fascinating but could actually be far far more so if they were actually allowed to grow and develop. Instead we will have Clary and Jace and the angst keeping them apart.